Happy Monday! Did everyone watch the Super Bowl last night? I did, but since my Patriots weren't playing I only payed attention to the half time show and some commercials. Now that the Super Bowl is behind us (does anyone else feel like the big game is a holiday) it's time to think about Valentine's Day, which is fast approaching this weekend. If you're still looking for the perfect gift for that someone special, I highly suggest a custom made iPhone case from CaseApp. If you're anything like me, and attached to hip with your cell phone, a personalized case is more fun to look at everyday (or should I say every minute). Not only is a custom made phone case a perfect gift because it won't break the bank, but it adds a personal touch, which I believe makes the best Valentine's gifts. 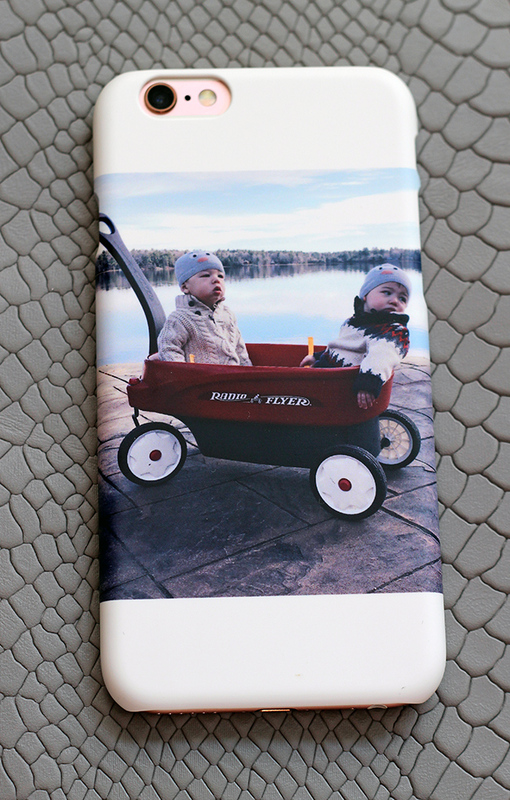 When CaseApp (a site where you can create custom iPhone cases and laptop skins) reached out to me to design a case, I jumped at the chance and went total Mom Style by designing a case with a photo of my boys. I mean, who wouldn't want to look at those faces all day long? It was really simple to do, as I just uploaded my photo, aligned it in the template, then was done! The site also offers a lot of clip art and text that you can use to create your custom case. And if you're not in the mood to be creative, they have a great selection of pre-made cases to purchase from. I especially love the selection of marble cases. Just in time for Valentine's Day, CaseApp is offering a 20% discount to Threads for Thomas readers. Use the code THREADSFOR20 at checkout. Valid until February 15, 2016. Also I'm excited to be giving away a $40 gift card to CaseApp to one reader. You can enter in the Rafflecopter link below. Also sharing another Valentine's Day inspired outfit today. I love the pairing of blush and leather together, adding a little edge for a perfect date night look. I love how simple, yet pretty this blouse is, and it comes in several colors. Thank you CaseApp for partnering in this post. All thoughts and opinions are my own. 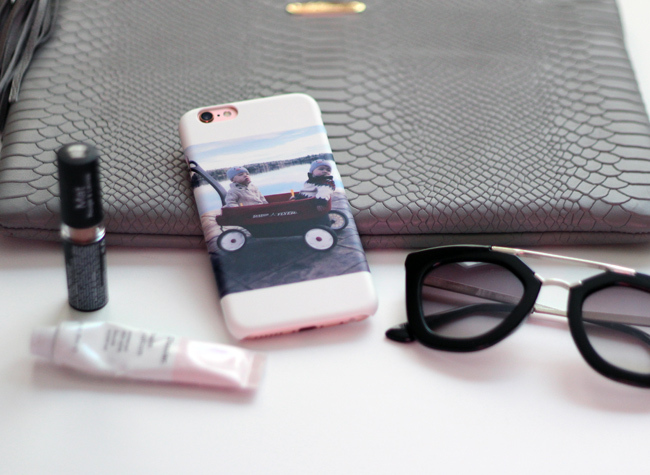 How cute is your iphone! Looking good! You created a great case, it's so adorable. 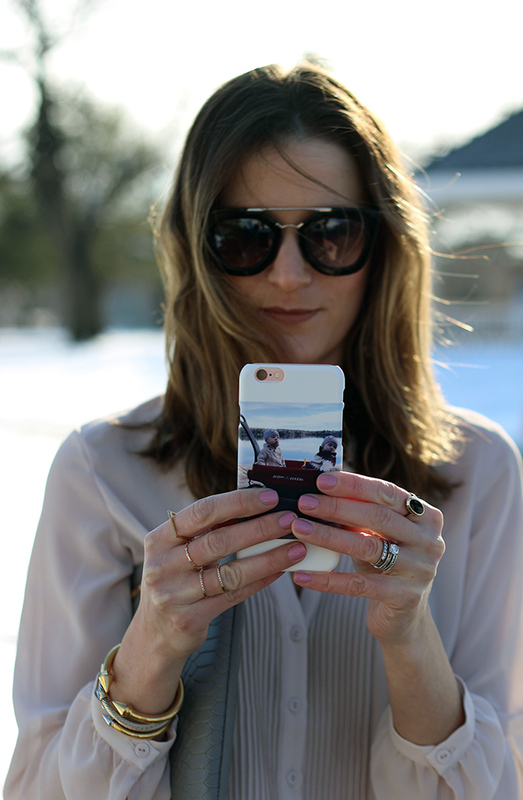 I love my caseapp phone case too! Love your Blank Denim pants, been looking for one similar and they have the best price point. Oh my goodness, that phone case it SO cute! What a great photo. Also this blush leather jacket is unreal. You look amazing in this outfit! Loving the simplicity. Cutest phone case ever! Love the layered pink quartz top and jacket... I am shivering just by looking at the snow. 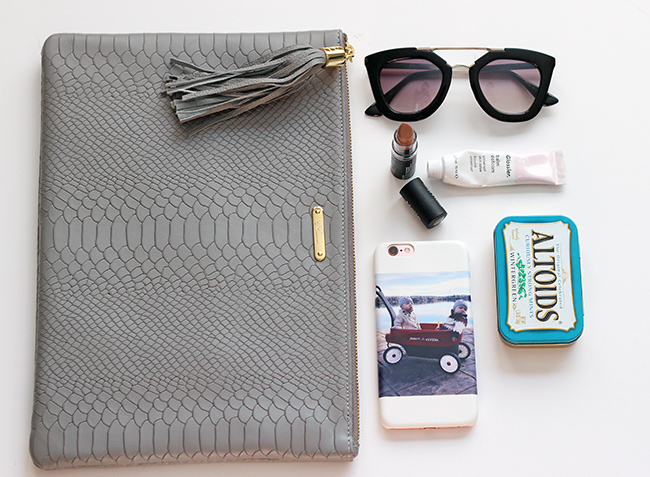 Your case is the cutest! I just received my custom case from Caseapp as well! I love it! What a cute case you created! I love CaseApp! The possibilities are endless. I created one and so did my daughter. I love how they are one of a kind cases. BTW your outfit is fabulous! The blush color blouse and jacket are so pretty! One hot mama!!! Looking fabulous! 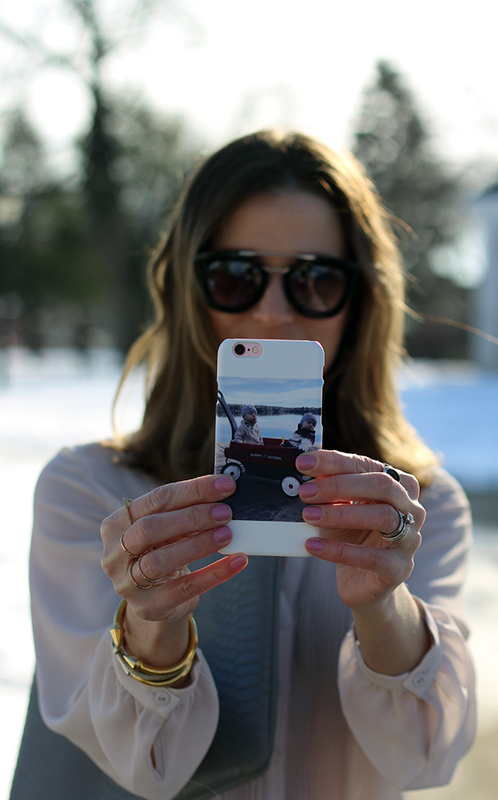 Love love love your phone case, seems like the prefect gift. What lovely outfit, you're looking great on it. The blouse is beautiful - the color is totally you. It looks so expensive. Well done F21. And you know I love those pumps. As usual, gorgeous statement earrings, too. You made a great case. You chose that adorable photo of the twins I loved. When I designed mine, I made it artsy but I did add Vivian's birthdate there. I think I need a marble case from CaseApp now - I love them. That custom iPhone case looks very elegant and cute. This the beauty of the custom phone cases, you can have the pic of your family or kids or any other pic or design you want. I personally have this kind of custom made iPhone cases from Miniturtle.com. Thanks for sharing this.